Description: Design a series of four alternate Movie Poster Designs for the promotion of the 2015 launch of the local film series pilot for "The Apartment: About Last Night". The client requested a "dark comedy / romance" look and feel. Poster designs were displayed at Movie Towne Trinidad and were used for digital promotion. 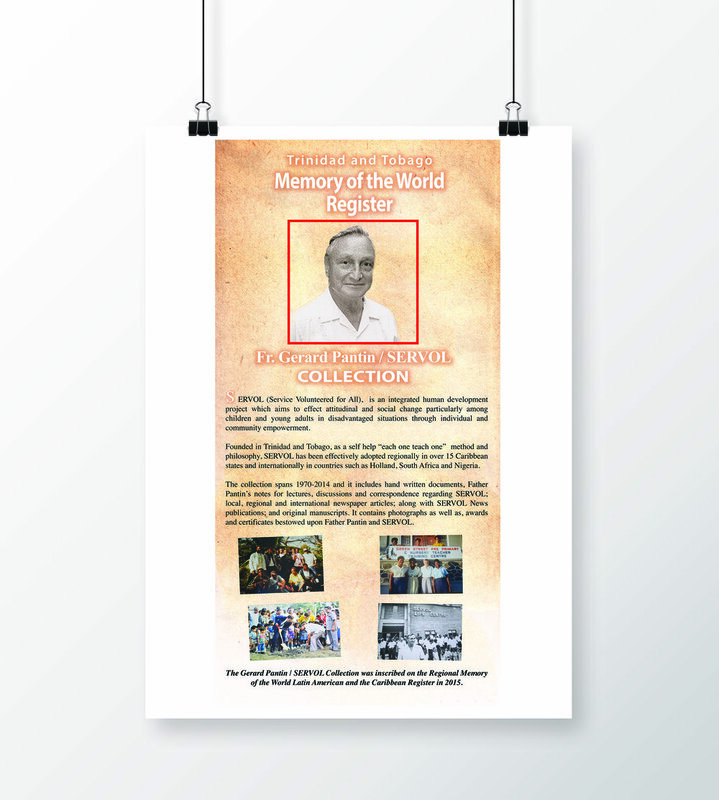 Description: Design and Layout Large Posters for an Exhibition on the various local collections of the Memory of the World Register. Client requested an "aged" look and feel with minimal design elements, focusing on the text. 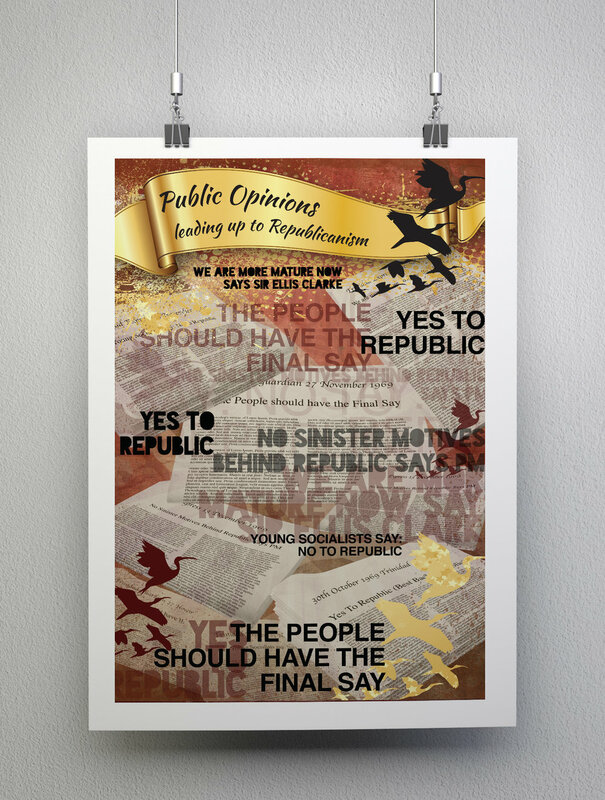 Description: Design a series of thirteen (13) poster boards for an exhibition. 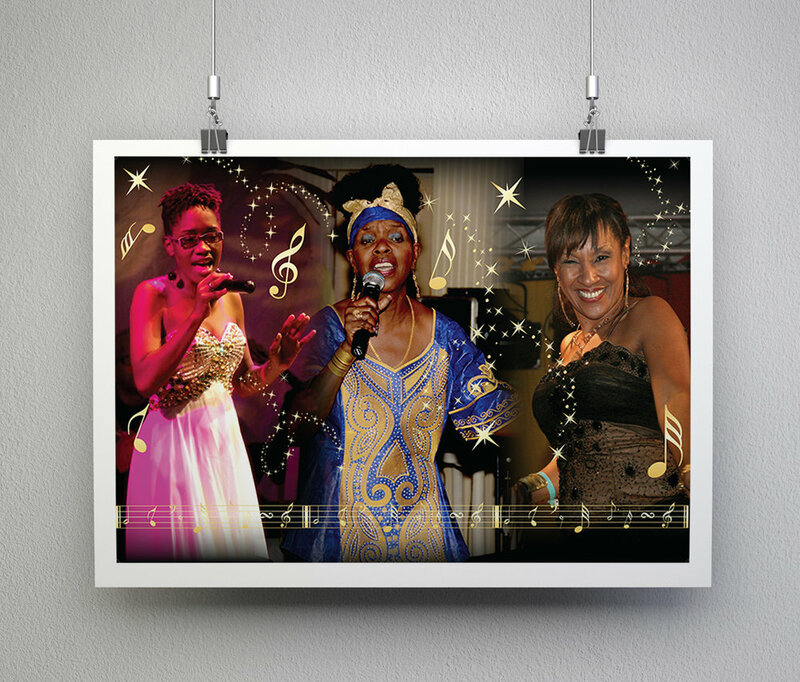 Client requested simple photo collage designs with gold accents of the various female Calypso and Soca singers in Trinidad and Tobago. These designs were part of a on-site exhibition at the Head Office of the Culture Division as part of their Calypso Heritage Month Celebrations. 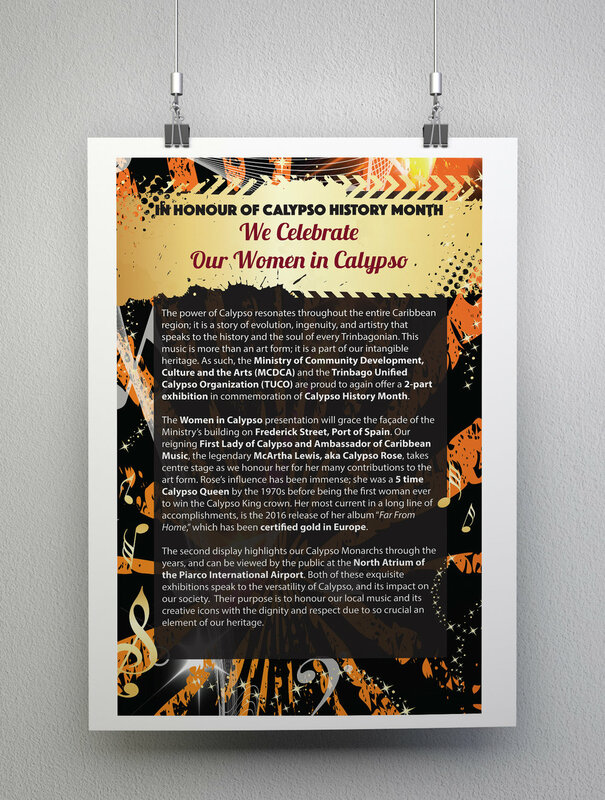 Calypso Rose was the "star" of the designs as she was seen as the legend of Women in Calypso. Description: Design a series of poster boards for an exhibition. Client requested use of the national colours of red, white and black alongside gold. The symbol of the national bird, the Scarlet Ibis and national flag is used as a recurring design insignia. 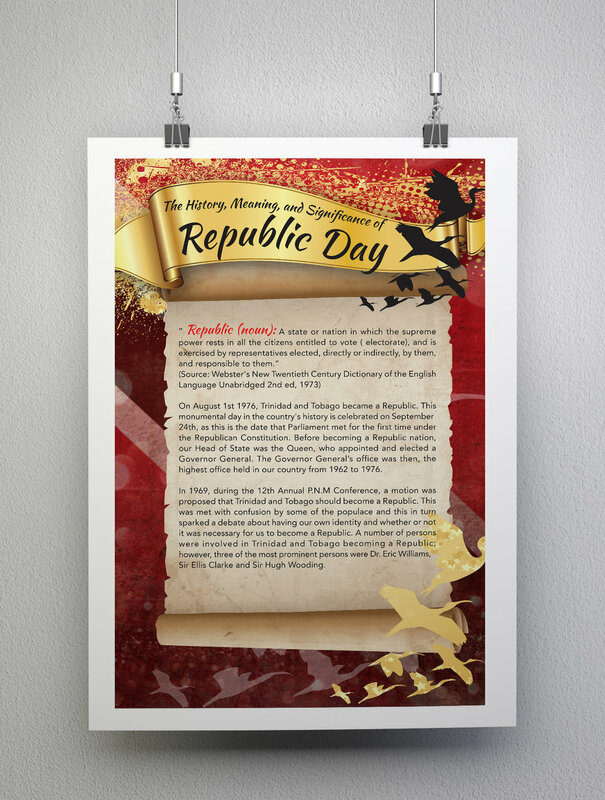 The exhibition is meant to give a feeling of royalty and the prestige of the event known as Republic day. 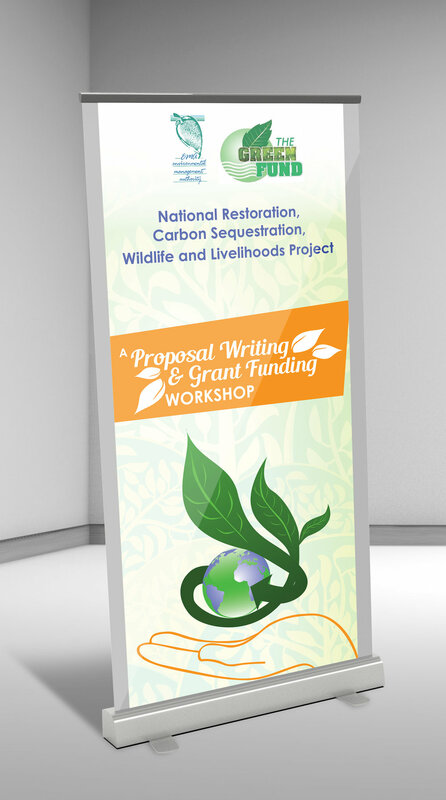 Description: Design Branded Standee for the Proposal and Grand Funding Workshop.